There’s so much to be gained from regularly hacking your horse, and working your way around obstacles — some physical and others mental — is all part of the fun. Here are some of the issues that Your Horse magazine’s #hack1000miles challengers have recently tackled and overcome. Emma Sylvester-Harris came across this fallen tree while out hacking her one-eyed Connemara, Clara. Kirsty Squires and Frankie were enjoying a long hack as part of their fitness programme when they came across a herd of deer. “This morning was slightly entertaining as we stumbled into a herd of 17+ deer — that canter was a tiny bit sideways!” said Kirsty. 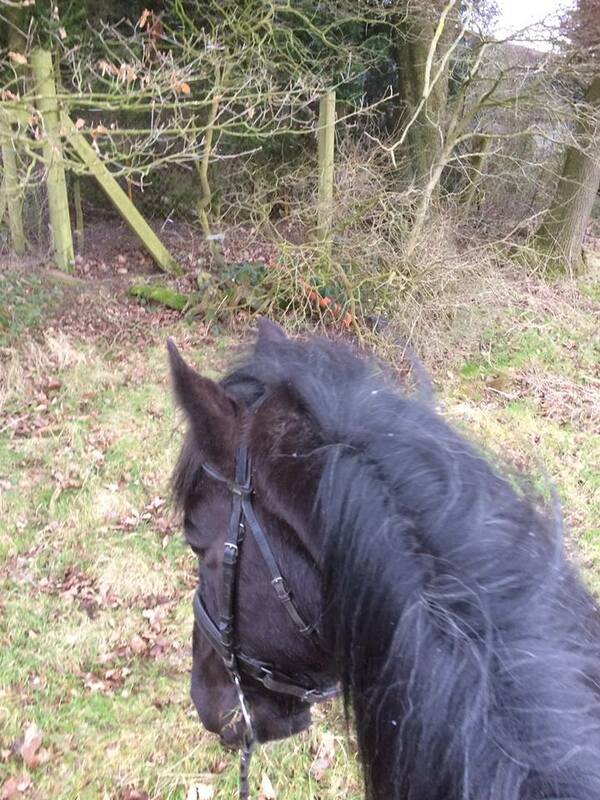 Sally Hudson missed out on a weekend of riding recently due to high winds and heavy rain. On the plus side, she took her husband to the yard and he tidied her hay barn — jackpot! “Hay barn all swept out and cleaned up… He does have his uses sometimes,” said Sally. 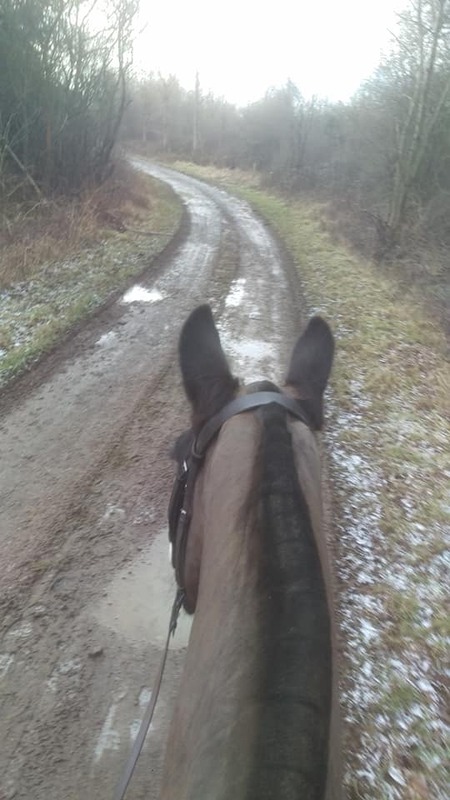 Venturing out into the great outdoors aboard a horse can be nerve-wracking, but Ema Bayliss worked through her anxiety and subsequently enjoyed a hack on her trusty charge. “Had hideous hacking anxiety and nearly bottled it, but once I was on and me and my lovely friend were plodding round the roads I was fine,” said Ema. Lianne Skinner also confessed to a loss of confidence, but she and her mare April are making brilliant progress. “So after a bit of a breakdown in the last few weeks and a total loss of confidence in both myself and April, we stayed in our safety zone of the end of the lane. It doesn’t sound much but it’s still two miles up and down. After the initial looney stage across the field, April was a star,” said Lianne. 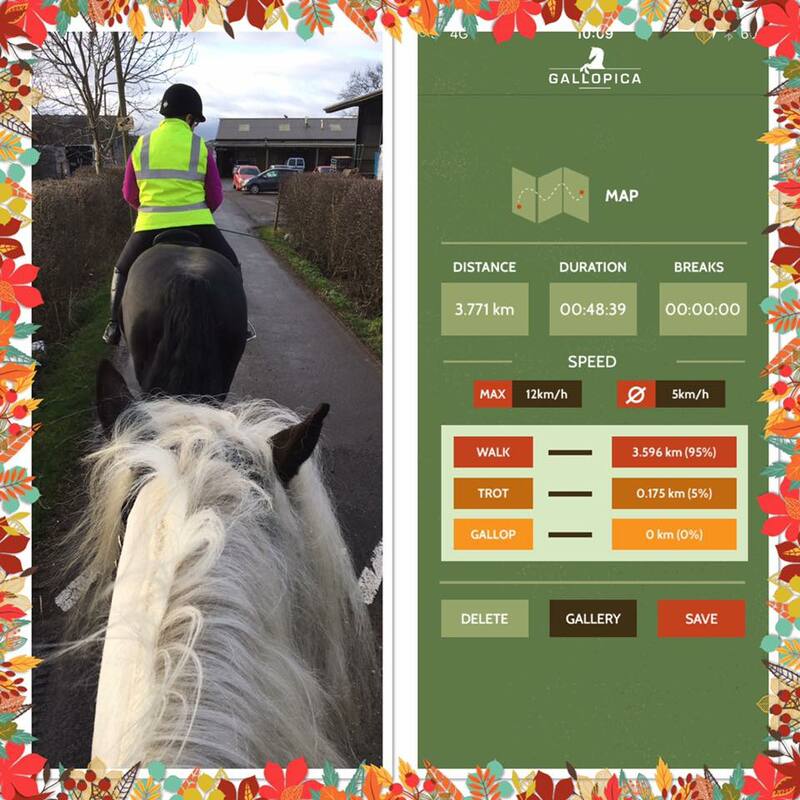 Jeanette Parkes added a quick three miles to her #hack1000miles challenge tally, finishing the last section in trot in order to escape the snow. “Had to trot on and off the last mile as snowing quite hard and big flakes, but it didn't stick thankfully,” said Jeanette. Anne-Marie Cronin is one of many battling early nightfall in order to squeeze in a hack in the fading light. Your Horse magazine’s #hack100miles challenge is nearing its first anniversary. Are you up to the challenge? Sign up here and join our Facebook group, Hack 1000 Miles.